CFTRI Recruitment 2019 – CSIR-Central Food Technological Research Institute (CFTRI) notifications for Project Assistant Level-II vacancies. The detailed eligibility and application process are given below. Project Assistant Level-II (Cat-1): First class M.Sc. in Food Science/Food Technology/ Biotechnology/Microbiology with good academic records. Project Assistant Level-II (Cat-2): First class B.Tech./M.Sc./M.Tech. in Food Science/ Food Science & Technology with good academic records. Relaxations of SC/ST/OBC and women candidates as per Govt rules. The selection process will be prepared on the basis of the performance of Interview. 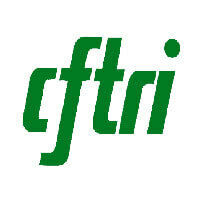 How to apply for CFTRI Recruitment 2019? All interested and eligible candidates may attend walk-in along with required documents at the following venue on 12 April 2019 & 16 April 2019. Venue Date & Time: 12th April 2019 & 16th April 2019 at 10.00 A.M. Documents Required: Candidates are requested to bring all the original supporting documents for date of birth, educational qualification, caste certificate (if applicable) and experience certificates for verification along with your complete Bio-data with email address/contact phone number along with attested copies of the necessary certificates and passport size photo.